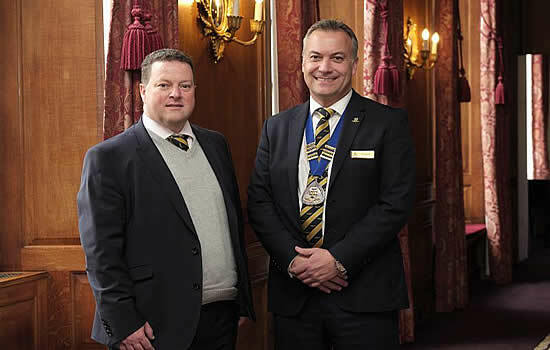 The BACA Spring Lunch took place at Merchant Taylors Hall in London on April 3rd where a record number of guests saw past chairman Richard Mumford officially hand over the chain of office to new chair Nick Weston. The Spring Lunch has become so successful that to cope with the demand for tickets there was a secondary annex, with screens linked to the main hall. Richard Mumford summed up his three successful years in office while Nick Weston took the opportunity to outline his vision for The Air Charter Association's future as he takes on the role of chairman. The Association has recently featured in the national media for its extremely hard work in highlighting the risks of illegal charter flying, and this remains one of Weston's key objectives in his role as chairman. Outgoing BACA Chairman Richard Mumford (left) with new Chair, Nick Weston. Looking forward to his time in office Weston told the audience that "I am delighted to take up the role of Chairman of The Air Charter Association for which is particularly gratifying in the year BACA celebrates its 70th anniversary. As an Association, we are in very exciting times and now established as the global voice and authority on aircraft chartering." Weston went on to talk about ACE, the Association's presence at EBACE and how he will continue to grow membership of the Association to continue to build a global voice for the air charter industry, particularly brokers. 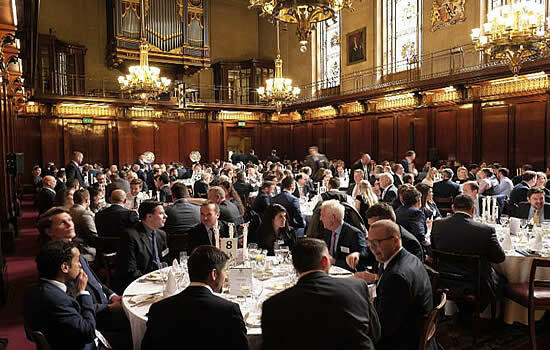 The BACA Spring Lunch at Merchant Taylors Hall, London. In summary Weston said it had been an amazing Spring Lunch and that it was very gratifying to see the highest number of attendees ever hosted at such an event. He concluded by saying "I would like to thank Richard for his outstanding work as chairman over the last 3 three years. I relish the prospect of implementing and continuing the initiatives we have in place to deliver exceptional value to our members and ensure that the key issues impacting their business are known to governments and authorities globally."